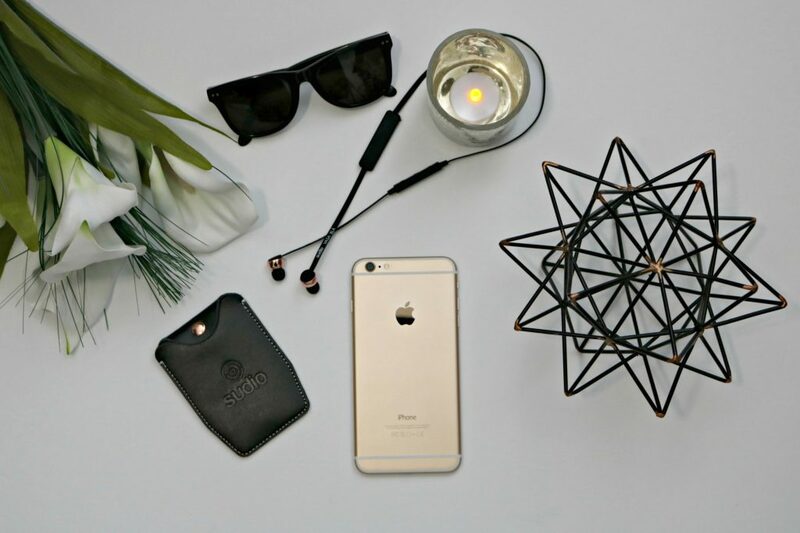 Wireless Freedom with Stylish Vasa BLÅ Headphones! Music is something that is part of my everyday routine. I don’t think there has been a single day that I haven’t listened to or sang along to music in my 32 years on this planet of ours. It can help you through the hardest times and become the soundtrack to the best times that we experience. It takes us through love, friendships and no matter how many years pass, it can always take you back to that moment in time. 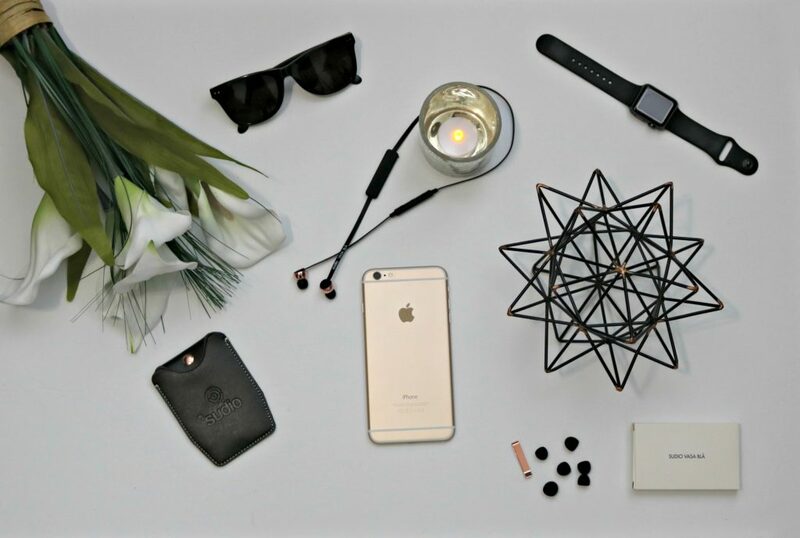 With technology advancing steadily, we consume most of our content through our devices and for that reasons alone, headphones that can help you take in multimedia but, can do so elegantly and in high-quality is needed. Sudio Sweden was created after one of the founders spotted musician, Phil Collins, in New York City. They noticed that Mr. Collins was having difficulty with his headphones and they knew that they needed to find a solution since they also had problems with their headphones on occasion. Even though they had a company, they didn’t have a name yet and they decided that their company name should honor Mr. Collins in some way. Sudio Sweden was named after the song Sussudio. The VASA BLÅ headphones are wireless and compatible with any device that is Bluetooth enabled. They can be used for talking on the phone or for listening to music or podcasts. Having a built-in microphone is not only convenient for phone calls, but also recording notes on the go. When you use these headphones, you’ll enjoy being able to control the device with the remote control that is included. 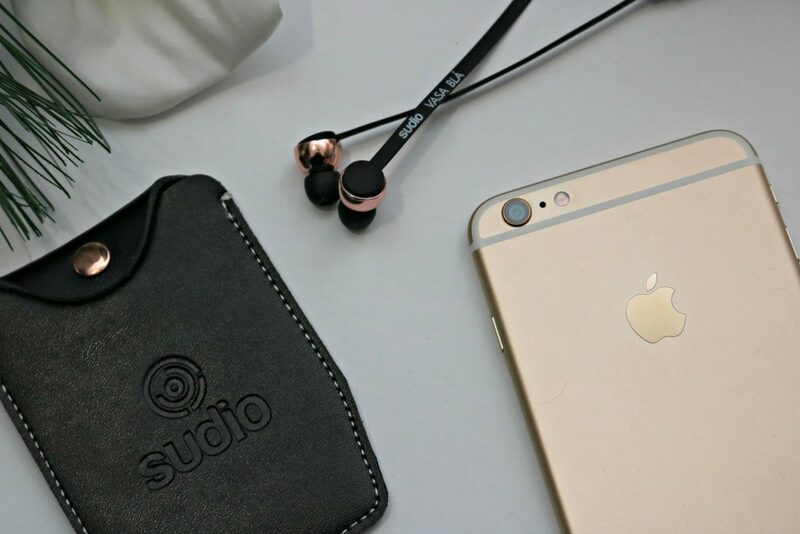 The Sudio Sweden VASA BLÅ wireless headphones are available in the color combination of rose gold, pink, white, blue and black as well as other color combinations. I had the chance to try out the black rose and let me tell you, they are beautiful. Not only are they sleek and attention to detail has been taken, they work amazingly. The headphones provide quality studio sound whether you’re listening to music or just talking on the phone. They can be used for eight hours at a time and they only need to be charged for two hours before they can be used again. As far as aesthetics go, the VASA BLÅ headphones do not disappoint. The cord is flat and thin and the unit itself is lightweight. When I wear them, they aren’t obstructive, they’re light and effective and it doesn’t hurt that they match my phone either. What I have been using them the most for are my regular walks or my time on the stationary bike. 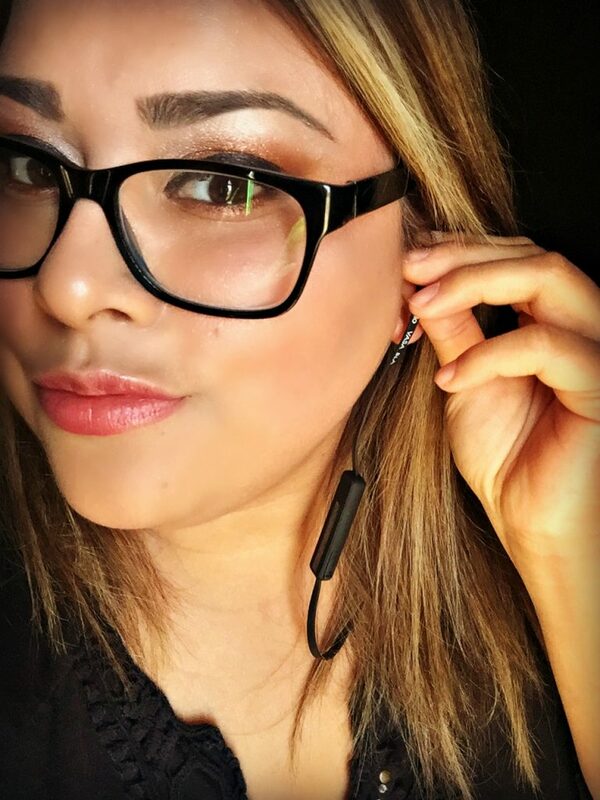 The wireless headphones make it easy to not be tethered to a phone which in turn helps to focus on your activity opposed to worrying about snagging the cord. I have also used them in my office to listen to music and to take phone call meeting while I work on my computer. They are versatile to take you through down time, physical activity and work. 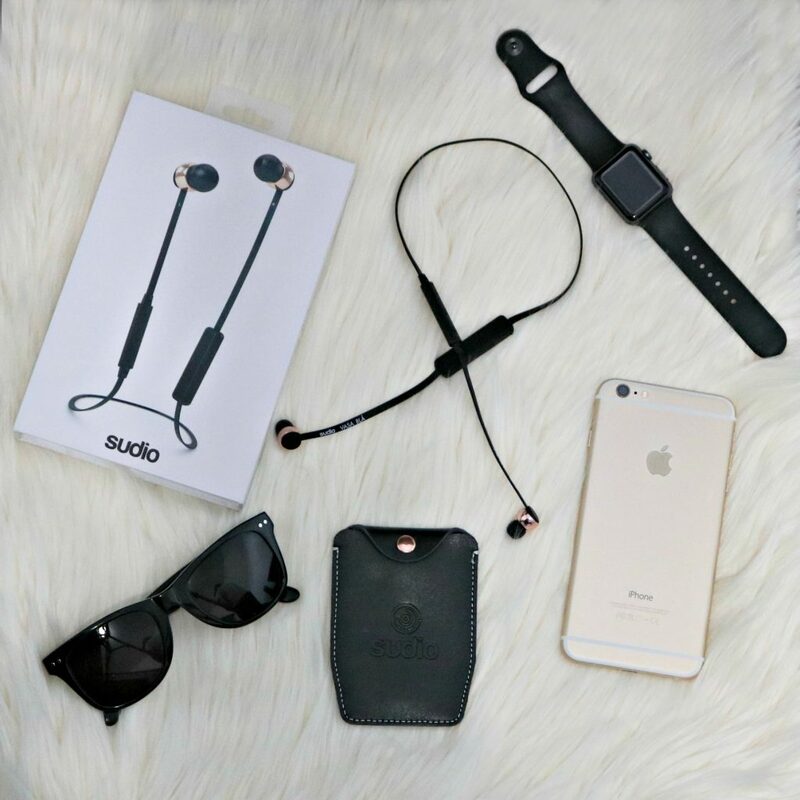 Each set of VASA BLÅ headphones comes with four extra sleeves for the ear buds, a leather carrying case with a metal clip, the battery and a charging cable as aforementioned. All of these extras are a nice feature and shows that Sudio Sweden knows what their customers want and need. They always put their customers first, which shows since they are offer free shipping and a fourteen-day return policy. The Sudio Sweden VASA BLÅ are absolutely amazing and you shouldn’t wait too long to get a pair. They are perfect for a gift for the holidays and make can make great stocking stuffers. Now everyone in your life can have an enhanced music listening experience! You can pick up a wireless pair for $140 or opt for their wired options that start from $65 and up! Plus, for a limited time only, they are offering FREE gift packaging! For more information, visit Sudio Sweden. You can see all of their selections there. Get social and send them a quick shout out or question on Facebook and Instagram. Plus, you can see their latest updates too! Have you ever used wireless headphones? Previous Post: « 9 Beauty Secrets to Smoother Skin + Tips to Get Holiday Party Ready! These sound like a great gift idea. I know I am always looking for a pair of headphone I like! They really do make an awesome gift. My daughter is trying out some wireless headphones. She loves them. I need to try them for myself. These look like a great option. They really make a world of a difference. You will fall in love with the freedom. These look perfect and sleek for the gym! I need to get some because my old ones are starting to sound weird. These would be great for the gym, they do not get in the way. I like to use wireless head phones. I love the look of these. They would make a great gift for my Son for Christmas. They are very sleek, that is for sure! I would love to try wireless headphones. I will have to add these to my Christmas wish list. These look very comfortable. I have been looking for a new pair of headphones. They really are very comfortable! This is something that my husband has been screaming for for a long time. He hates how the wires on his current ear buds interfere with him riding the lawnmower and mowing. He would love a set of these. These would be perfect for him! I love these headphones and so need a pair. Will definitely be putting these on my list!